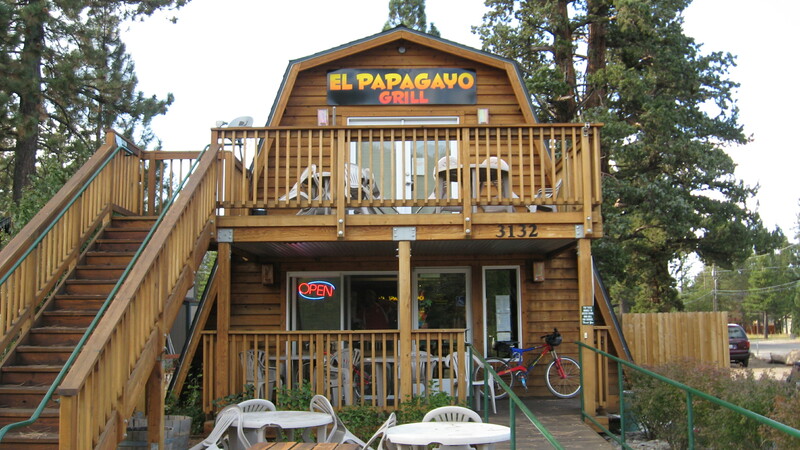 This clean, wholesome Mexican joint attracts Tahoe locals and weekend warriors – caked-in-dirt mountain bikers coming off Meyer’s plethora of trails, as well as backpackers coming off nearby Pacific Crest Trail. 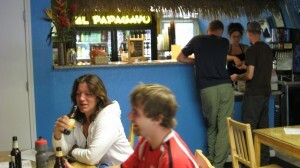 El Papagayo boasts a natural, decently-priced, vegetarian and meat-eaters Mexican menu of fresh burritos, tacos, and quesadillas, with the option of whole wheat tortillas and substitute black beans. Even better, their beverage list is quite unique, featuring organic kombucha, honest tea, and guayaki, as well as eclectic alcoholic options, such as Longboard Lager, Red Nectar, Hemp Ale, and Deschutes Brewery Green Lakes Organic Ale. Relax here, after a day of strenuous activity, over a much-deserved burrito and Corona, soaking in the sunny, sky blue and yellow, Hawaiian interior, complete with photographs of tropical beaches and, I kid you not, parrot strung lights. Monday – Friday, 3-5 p.m.